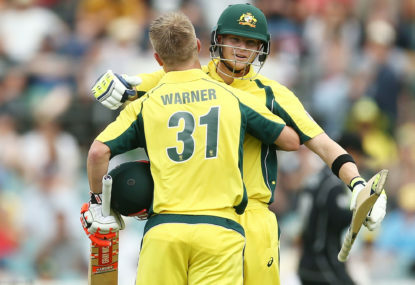 Humbled by their defeat to England in the first ODI, Australia headed to Brisbane for the rematch. Alas, consistent rain throughout the day meant that no play was possible and fans on television were forced to settle for a replay of that first match. Apparently this was a different game altogether, that actually had some subtle differences to the first. Okay. Here then are the ratings for the second ODI between Australia and England. 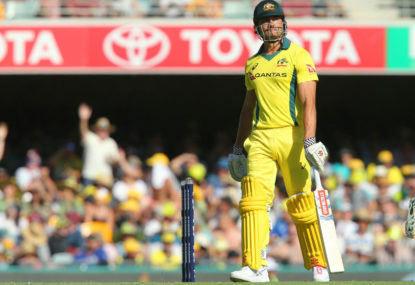 Australia were forced to bring Alex Carey in as wicketkeeper for an ailing Tim Paine. 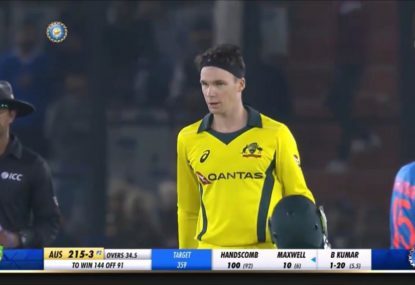 Josh Hazlewood, who’d replaced a resting Pat Cummins, was also ill and was replaced in turn by Jhye Richardson. Adam Zampa wasn’t ill, but the selectors inexplicably replaced him with Cameron White anyway. I swear, their Marsh successes earlier in the summer have gone completely to the selection panel’s collective head. They think they can get away with any old selectorial nonsense now. 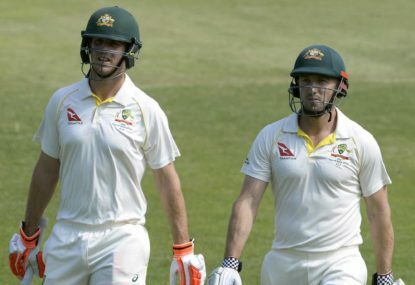 But with a couple of sick players unavailable for this match and multiple reports of illness throughout the Test summer, this is surely the sickliest Australian cricket side since the Scurvy Ashes of 1905. Steve Smith won the toss and elected to bat. Like a team of tedious Zack Snyder fanboys, the Nine commentary team responded to this by immediately talking incessantly about 300. 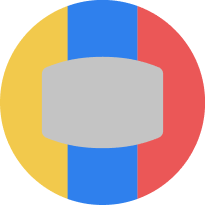 Every other discussion was about whether Australia would make 300, how they should go about getting to 300 and how a score of 300 would merely be par these days, unlike the old days when 300 was just about unbeatable. It was as if England’s successful Jason Roy-led chase of a 300-plus total in the first match had completely shattered their previous world view. Indeed, Michael Slater got so carried away with praising Roy’s innings that he declared that Roy had ‘changed history’ with the run chase. Well, no, Slats. Marty McFly changed history. 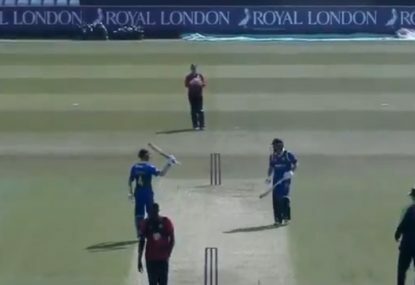 Jason Roy merely made history. Even Mark Taylor, who has always talked breathlessly about the prospect of teams scoring as many as six, or even seven, runs an over from the final few overs provided they have seven or eight wickets in hand, was suddenly at pains to tell us that 300 might not be enough. His new-found delight at talking about such mind-boggling run rates was at ‘5-year-old discovers dinosaurs’ levels of enthusiasm. Which would be adorable, if he was not a ridiculously well-paid 53-year-old man apparently only now discovering an obvious trend in a sport he professionally covers. Australia’s innings was almost completely identical to their first ODI effort. 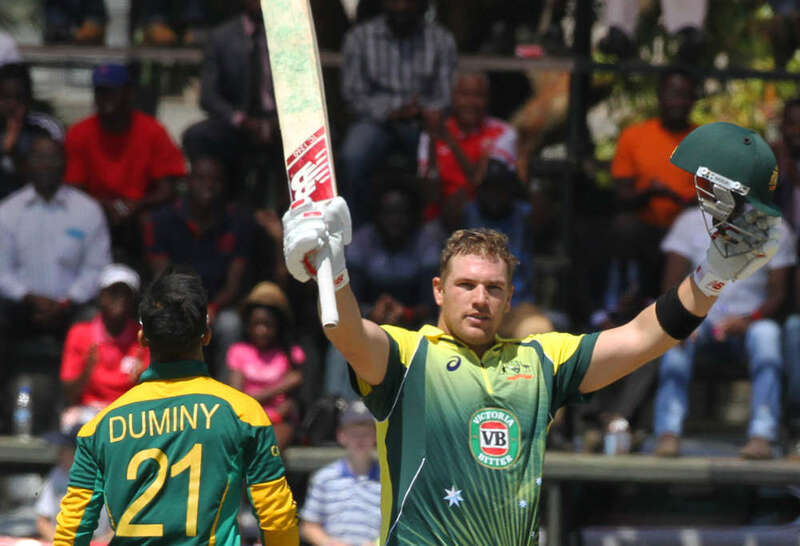 Aaron Finch made a century that always felt, perhaps unfairly, to be a smidgen too slow. Dave Warner made fewer than expected. Smith underperformed. 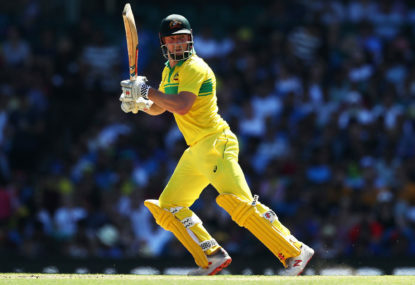 Mitchell Marsh combined with Finch to recover the innings before both were dismissed just as they looked to accelerate in the final overs. 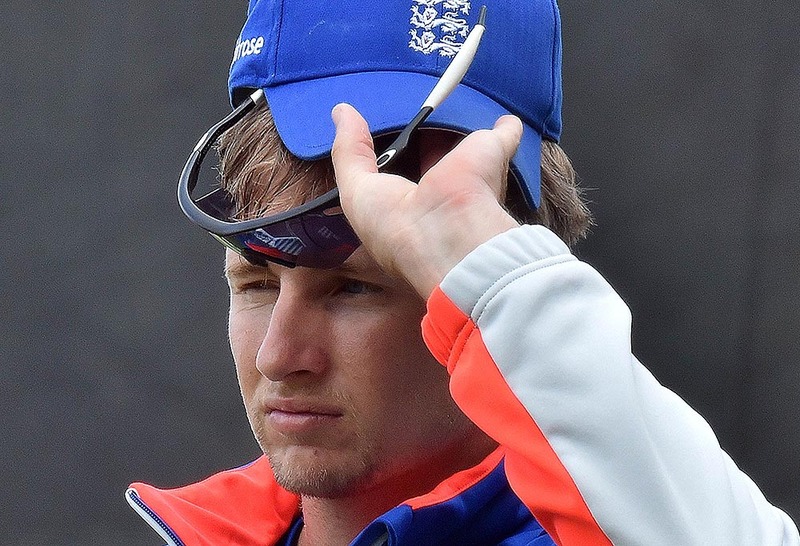 One fresh tweak the sides added to the formula was to have Joe Root bowl seven overs and take 2/31, including Smith and Travis Head. Smith was dismissed LBW to Root and glared angrily at Finch until the opening batsman eventually agreed it was ‘probably worth a review’. It wasn’t, of course, but try to imagine a universe in which any Australian cricketer told Smith he was out and shouldn’t send the decision to the third umpire. Such a universe simply doesn’t exist. Root’s success as a spinner did raise the question of how the Ashes might have gone had he taken on that role in the Ashes. Ideally, with Moeen Ali as his captain. There’s only one way to find out. Let’s replay the whole summer again. In pursuit of Australia’s underwhelming 9/270, Jason Roy was dismissed in the first over by Mitchell Starc. In the process he officially became 2018’s most wildly inconsistent ODI batsman. Not that it mattered one iota. Alex Hales and Jonny Bairstow put on 117 in no time whatsoever to put England’s chase well ahead of the required run rate. Then Joe Root, Eoin Morgan, Jos Buttler and Chris Wakes all did their part with the bat as England professionally ran down the total. On the plus side for Australian fans, however, we should always remember that every ODI victory that this excellent England side achieves now just makes their inevitable 2019 World Cup debacle all the funnier. What a comedically generous side they are. But Australia’s second large defeat in this series will have them questioning their side and whether they should make changes to fix the flaws in their performances so far. For example, Australia could definitely do with somebody capable of accelerating the scoring at the end of the innings. Maybe somebody who could contribute some tidy off-spin to help bolster the attack when Zampa is not selected for some reason. If this hypothetical player was excellent in the field and highly experienced that would be useful too. Alas, no such player exists, so instead I propose that Australia select a team consisting of nothing but Mitches, Marshes, Ashtons and Richardsons. If you can’t compete with the opposition, then you can at least confuse the bejeezus out of them.